During PAX West, we spoke to IO Interactive about Hitman 2 and what new aspects players can expect from the sequel when it launches in November. After being let go from Square Enix, the future of both IO Interactive and Hitman seemed to be in question. 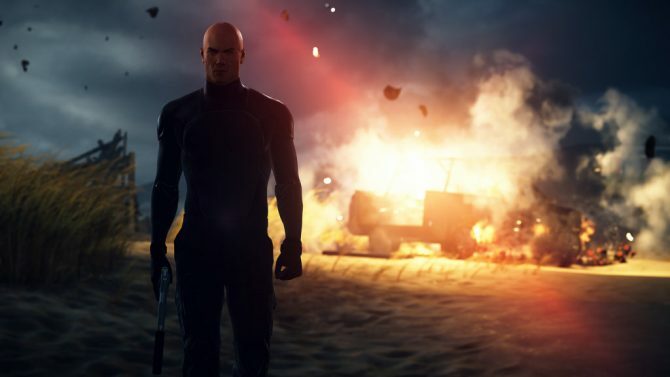 Even though IO Interactive retained the rights to the IP, there was uncertainty as to whether the studio could continue on much longer without a publishing partner. 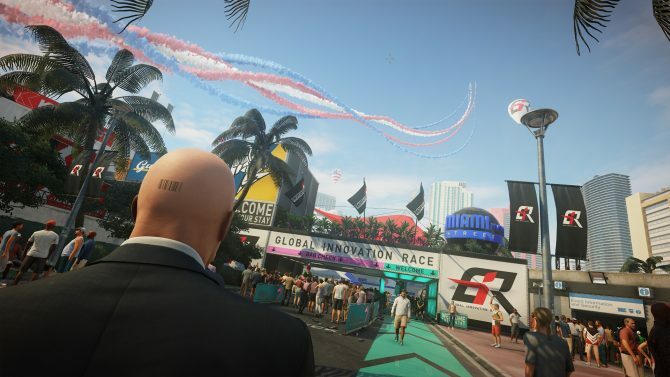 Luckily, IO found that partner and soon after revealed Hitman 2, a non-episodic follow up to the 2016 relaunch of the franchise. 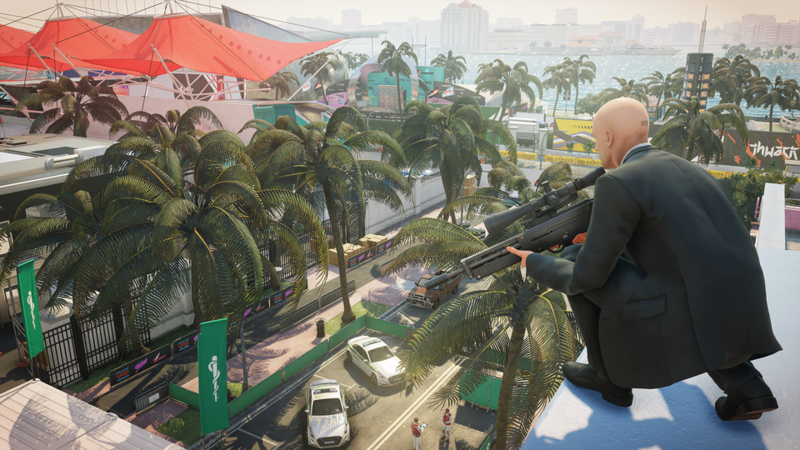 Recently, I spoke to IO Interactive’s Sven Liebold at PAX West about Hitman 2 to get a better idea of what fans can expect from this year’s sequel along with IO’s transition to publishing the game through Warner Bros. Interactive Entertainment. Logan: As a lot of people know, you guys went down the episodic route in 2016’s Hitman but with this sequel you’ve opted to now just release everything all at once. What were the reasons behind shifting away from that format? Sven Liebold: It actually did a lot of good stuff for us, the episodic model. Hitman is a game that has been around for a long time and generations of gamers have changed as well. What it did for us was it re-educated people on what a Hitman game is. We’re about replayability, that we don’t force on players, but people wanted to explore and to see more of the level. Since you were sort of stuck with one location for a month, that sort of brought back what Hitman actually is. On the other side, you had people who were very vocal about wanting the whole thing in one go. When we went back to the drawing board for Hitman 2, we essentially brought back the best of both worlds. What we’re doing now is that you get all of the campaign and all of the locations in one go but then we have the live content that we’re putting out afterward. That also includes new locations but they’re separate from the campaign. L: So you’ll still be ending live content support and leaving behind Hitman once Hitman 2 launches, correct? SL: We actually don’t leave it behind, it’s quite the opposite. What we’re doing is taking all of Season 1 and remastering it, meaning we’re putting all of the features from Hitman 2 into Season 1, and we’re putting it into Hitman 2. If you own Season 1, you have all of this remastered content within Hitman 2. You can play all the way from the beginning of Hitman through all of Hitman 2 in one go. Everything that now gets released under the Hitman name lives under one roof. L: And all of this will be available on launch day? As someone who still hasn’t played through Hitman but owns the full-game, I could opt to just play through that old content first via Hitman 2 immediately? SL: Yeah, you could start there. I mean, we call it Hitman 2 but the story just picks up where Season 1 left off. It’s still the same story, we continue that storyline, and that’s why you’re able to play from Hitman through Hitman 2 in one go. L: Other than it not being episodic, what are some of the biggest core mechanical changes that you have made to Hitman 2 following the last game? SL: We went under the hood and made hundreds of changes to what was already there. In terms of new features, we have improved a lot on our crowd system. They are displayed at a much higher fidelity and the cool thing is that they’re not eye-candy anymore, but they’re real gameplay elements. You can blend into a crowd and you can lose someone that is following you. Also, in Hitman in the Paris level, we had around 700 to 800 people. This Miami level has 2000 NPCs which is pretty awesome. We also have introduced foliage gameplay so you can hide in different bushes and such. Then we have the picture-in-picture system which is pretty awesome. There’s so much going on in this level, maybe you choke someone out and he’s under a tree but you forgot about it, twenty minutes later security could come down on you because they got new information that a body was found. Everything you do in this game, every action has a reaction and we want to make sure that players are aware of their surroundings. Another good thing, we brought back the briefcase. That’s been a fan favorite ever since Blood Money. People want to stow away their sniper rifle. This time though, you can put all sorts of things in there. You can put a bomb in there, throw it over a fence, security guy brings it up to the security office and then you can detonate it. We got a lot of, let’s say, “critiques”, last time for our voiceovers. 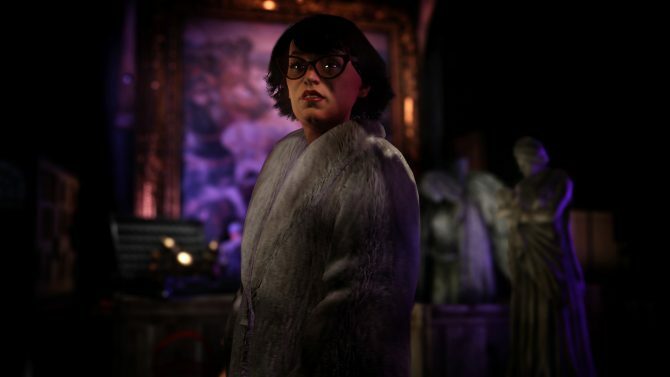 You travel to all of these locations in Hitman but everybody was speaking perfect English. 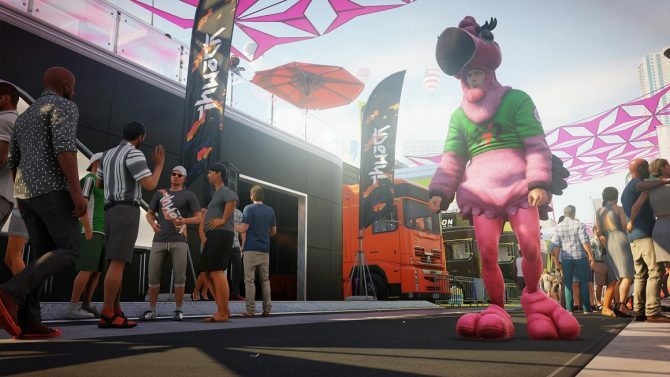 [laughs] For Hitman 2, we now have accented voices that are fitting to the location that you’re in. LM: I mentioned this to you before we started the interview proper but I think one of best things about Hitman releasing when it did a few years ago was that it got some more widespread attention because of this streaming and “Let’s Play” age that we’re in. 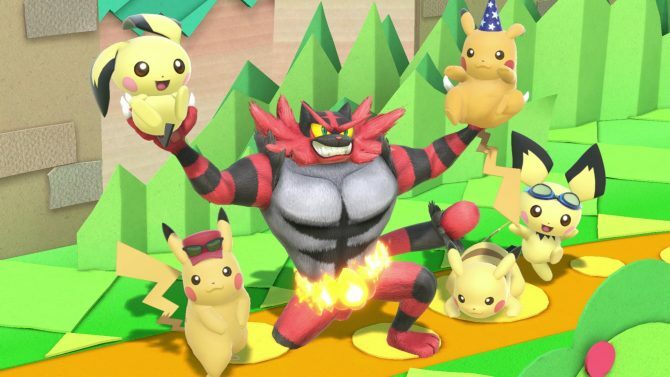 To me, those things really helped this franchise have a sort of second-life and allowed many to rediscover this franchise. Was that something you noticed as well? SL: Definitely. We loved that. That’s the beauty of the game, due to the live nature, we’re also able to react to that. When it came out, I think this guy from Rooster Teeth streamed a set up where he did an elaborate trap and executed, I don’t know, fifty people with an electric shock in Paris. We saw that and two weeks later you had NPCs in the game in different locations talking about that and saying, “Hey, did you hear that some dude killed fifty people in Paris?” People picked up on it and I think that’s awesome. The game is almost sort of made for that. LM: So one thing I wanted to ask you about was your transition away from Square Enix to where you now are with Warner Bros. Interactive. You had said before the situation with Square transpired that you were actively working on Season Two of Hitman so you already had a rather large project in the pipeline. 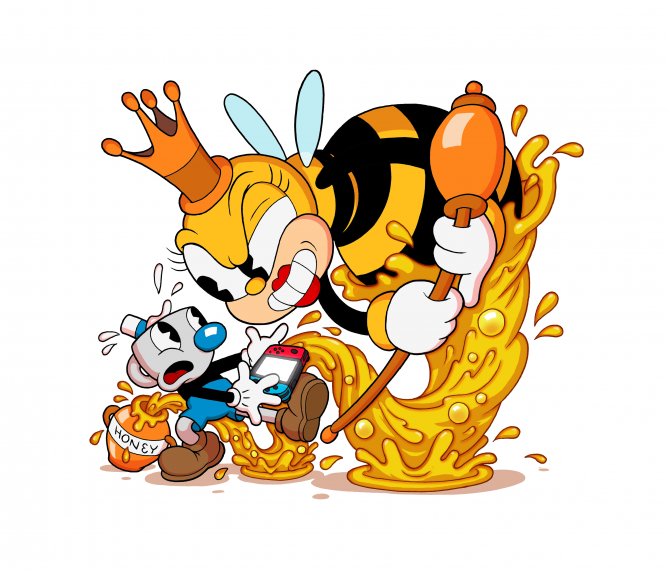 How concerned were you and the studio amidst that transition of finding a new publisher while still working on the game? SL: Well, we were owned by Square Enix, right? Square Enix bought us at some point. So to get this notification of, “Hey guys, you’re out,” is, of course, going to make you very, very scared. Normally if a publisher closes down a studio, they own the IP, they close down the place and see ya. Square Enix gave us the opportunity to be an independent studio and we could keep the Hitman IP. That was a pretty awesome situation to be in. We had the guys from Warner Bros. knocking on our door and tell us that we’re going to rock this together. Ever since then, it has been like one lovely family. LM: Could you guys see that move from Square Enix coming at all or was it totally blindsiding? SL: To be honest, not really, no. We did not really see that coming. LM: Wow, that must have been incredibly hard. I was really impressed by your response throughout that entire situation and I think everyone in the industry was really rooting for you guys at that moment. To see that it’s now turned into all of this with Hitman 2 makes me really happy. SL: What was awesome for us was that we felt so much love from all around. I think it also played into our culture as a studio, you know? We’re very open about everything and we’re very close to our community. The community has a huge say in our game. We have a very vocal, very big community and a lot of the changes and stuff that went into the game were based on player feedback. We wanted to get it right for the people out there. LM: So what’s the one big thing about Hitman 2 that you’d really like to stress to fans who are looking forward to the game? SL: Do you have like an hour? [laughs] No, the cool thing for me is that we’ve shown Miami, gave you a little tease about Colombia, we have the Sniper Assassin mode and the World of Assassination. The thing is, we’re really only getting started. We have so much good stuff that we need to talk about until we actually release and that’s the exciting part for me — when people actually have the grand picture of what we’re going to do. Hitman 2 releases in a few short months on November 13 for PS4, Xbox One, and PC. Currently, you can pre-order your own copy of the game ahead of time on Amazon.